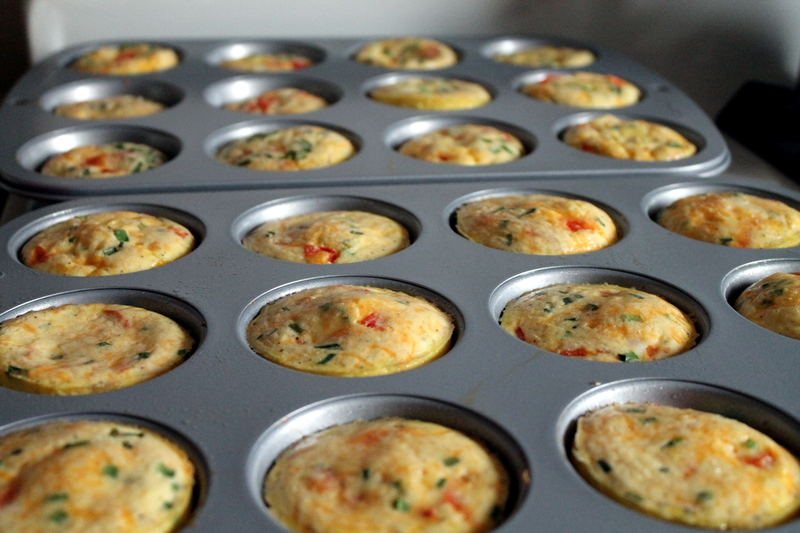 Healthy Gluten-Free Recipes: Protein-Rich Frittatas & Hashbrowns! 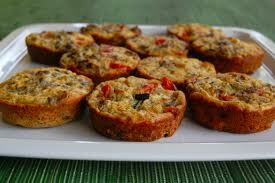 Leave a Comment on Healthy Gluten-Free Recipes: Protein-Rich Frittatas & Hashbrowns! It’s not every day I do a main meal recipe as it’s much simpler to bang together the savoury items in your cupboard and throw things in where you see fit. I see baking as much different from that, as it’s more a process of calculation and getting the wet and dry ingredients right, so that’s why I’m more a dessert recipe pioneer. But that doesn’t mean I don’t make healthy savoury recipes sometimes! This frittatas recipe is gluten-free and is made without the usual bad stuff like bacon or other cured meats and wayyyy too much oil. 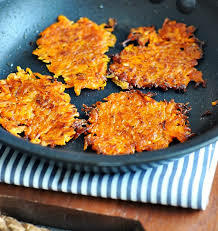 These can also be served with any of my favourite IBS-friendly side dishes – like chickpea flatbread (find my recipe here), homemade avocado hummus (see the recipe here) or even as an amazing addition to my homemade broccoli burger (just slice it up once it’s cooled down and add in like a 2nd burger!). However you choose to have your frittatas, you’ll enjoy them at any time of the day and are much less greasy than shopbought or café versions! For the frittatas, preheat the oven to 200c. Soften the onion in a saucepan until browned. Sprinkle in the paprika, cumin and coriander, cover and cook until combined. Remove from the heat. Scramble the eggs in a jug and pour into a greased muffin tray. Scatter the onion mix over the top and throw in the grated cheese, tomatoes, broccoli and mushrooms. Only add halfway to prevent spillage when cooking. Bake for 10 minutes or until the eggs start to look brown on the edges. Wash, peel and grate sweet potatoes and squeeze out any excess water. Warm in the microwave for 30 seconds so it starts to go a little mushy. Add the potatoes to a warmed frying pan, lined with the oil, spreading the mushy potato mixture over the base of the pan. Fry the mushy potatoes in the pan, flipping once the bottom firms and looks golden. If you prefer, split the mixture into individual portions and flip separately. Once all the mixture is cooked, chop it up and serve with the frittatas. Sprinkle a little paprika, salt, pepper and coriander on top. Voila!